We rarely have a Sunday to ourselves but this week we did and we had sunny weather. 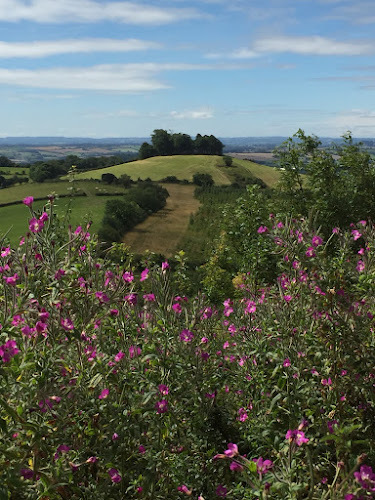 Himself got out the walking map of the Cotswolds way and we found a section to visit. And we only got a little bit lost. 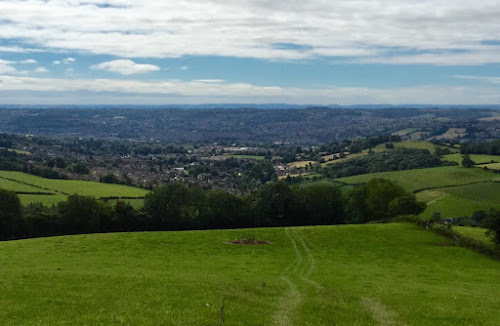 This is a view of the city of Bath looking at it from the east. Bath is unusual because the whole of the city, not just bits of architecture in it, is a Unesco World Heritage site. The picture below shows the shape of the city - it's all contained within the bowl of the surrounding hills. It contains the only natural hot water spring in the UK (that won't impress many of my overseas readers who have their own hot springs on nearly every street corner - I'm looking at you Germany!) and Bath is blessed with Roman remains and Georgian architecture. The city we see now was mostly constructed between 1720 and 1800. 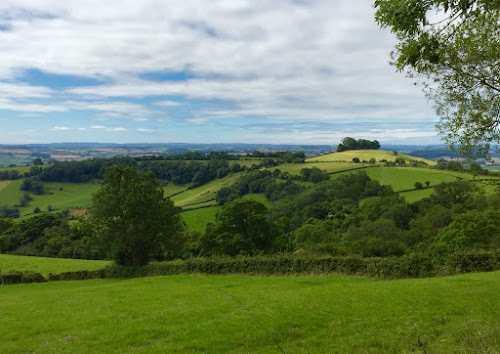 Cultural lesson over, here's some pretty pictures of our lush English countryside. 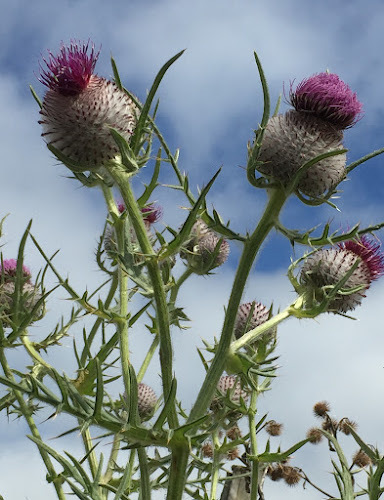 The thistles are coming out. One of the early signs that summer is drawing to a close and we're drifting lazily towards autumn.